GET ACTIVE! MEET NEW FRIENDS! PLAY WITH US! We have both a 1-Night Kickoff Tournament and a Full Fall League! Sports are awesome – a chance to get active and meet people. But finding enough teammates can be tough. The WIST Tournament and League is a great way to get active, have fun and meet new friends – and future teammates – with shared interests. Join us for a non-committal one-night only kick-off multi-sport tournament. We'll find you teammates to play with and give you opportunity to socialize and hopefully make friends you can come back and playw ith every week. Following the tournament, if you're interested, we'll organize our fall league teams and create a schedule where you'll get to play a different sport each week with new friends! About the Women in Sport Tour (WIST) Intro Tournament Night - No Semester Commitment Required! What is it? A free multi-sport experience with a focus on fun, friendship and finding new teammates. Who is it for? Women-identified members of our McMaster community. When is it? The introduction night takes place on Sunday, September 23rd from approximately 6:00-10:00pm. What sports are we playing? Basketball, Floorball, Soccer, Table Tennis, Ultimate Frisbee and Volleyball. Do I have to be good or know how to play? Absolutely not. But if you are, that's great too. There's no coaches and no cuts either way! If you want to play, you can play! Sure, some people will be very experienced, but others will be trying something for the very first time. The event night will include a 'try it' tournament before the official league begins so you can get familiar with the different sports, and we'll be careful to group you with participants of a similar experience and PlayStyle level to make sure it's fun for everyone. We'll group you into teams, assign you team colours/names, introduce you to each other and send you a schedule for the season through IMLeagues. This intro night will act as a kick-off night for the league, but will also be available for those just wanting to try it out first (although we do hope you'll want to join the league afterwards)! What does the league look like? Each team and participant can expect a mix of sports and social time, just like all Intramural Sports. You'll play mini-games, facing (and meeting!) multiple opponents in a tournament format. Some people love winning - and there will be winners, Most Valuable Team (think 'really nice people') awards and more - but winning isn't the goal. Getting active, meeting new friends and having a great time is. What is it? A multi-sport experience with a focus on fun, friendship and finding new teammates. When is it? The tour takes place every Sunday evening, from September 23rd to Sunday November 25th. How does it work? 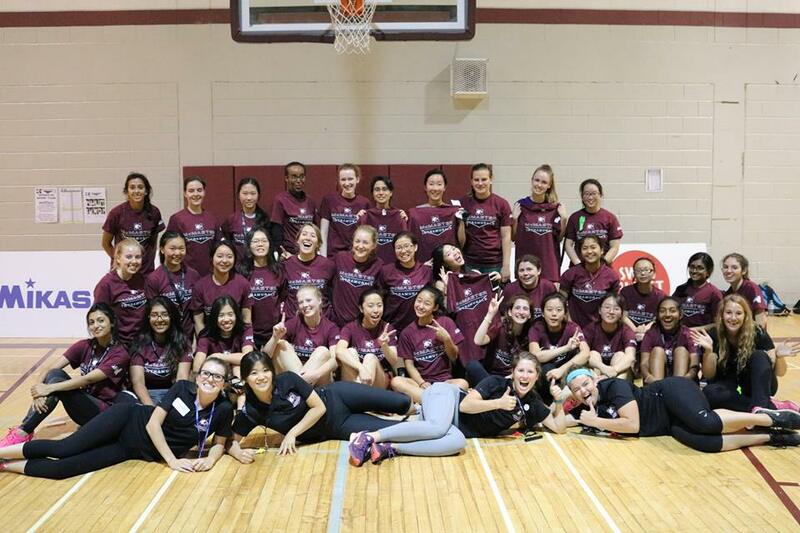 Register as a participant on McMaster's IMLeagues page and share any friend pairing requests to intramurals@mcmaster.ca. We'll group you into teams, assign you team colours/names, introduce you to each other and send you a schedule for the season through IMLeagues. What does the league look like? Each team and participant can expect a mix of sports and social time, just like all Intramural Sports. You'll play games, facing (and meeting!) multiple opponents each night. Some people love winning - and there will be winners, Most Valuable Team (think 'really nice people') awards and more - but winning isn't the goal. Getting active, meeting new friends and having a great time is. League Registration Closes Wednesday, September 19th!